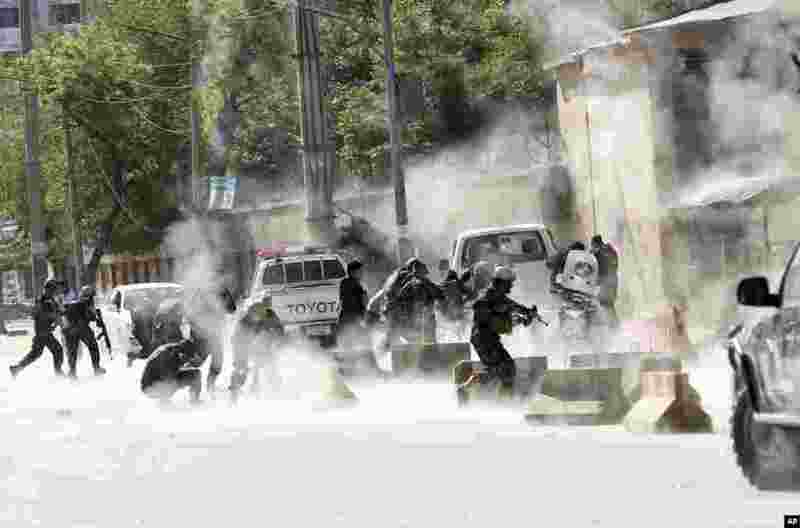 1 Security forces run from the site of a suicide attack after the second bombing in Kabul, Afghanistan. 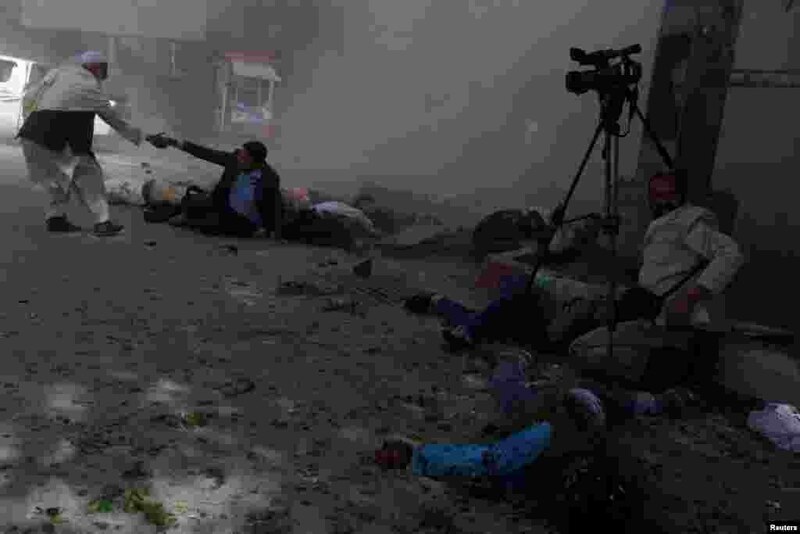 A coordinated double suicide bombing in central Kabul killed at least 26 people, including nine journalists. At least 50 people were wounded. 2 Afghan journalists are seen after a second blast in Kabul. 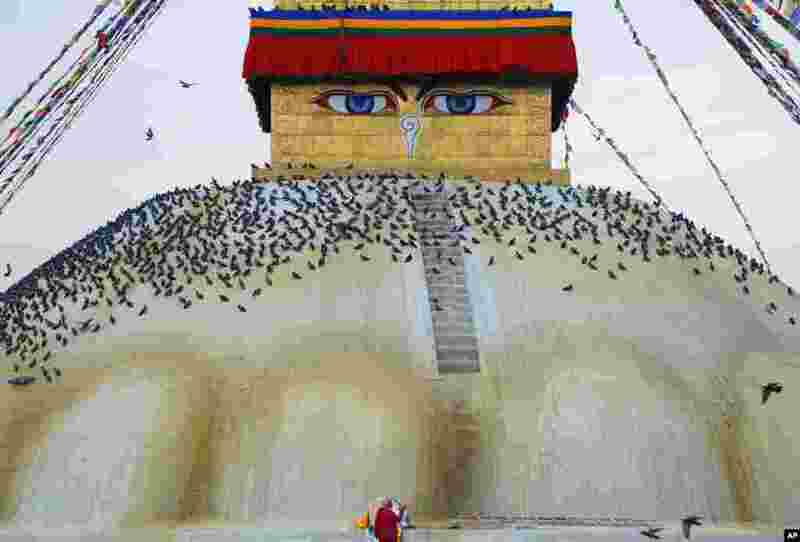 3 A woman lights oil lamp at Boudhanath Stupa during Buddha Jayanti or Buddha purnima in Kathmandu, Nepal. 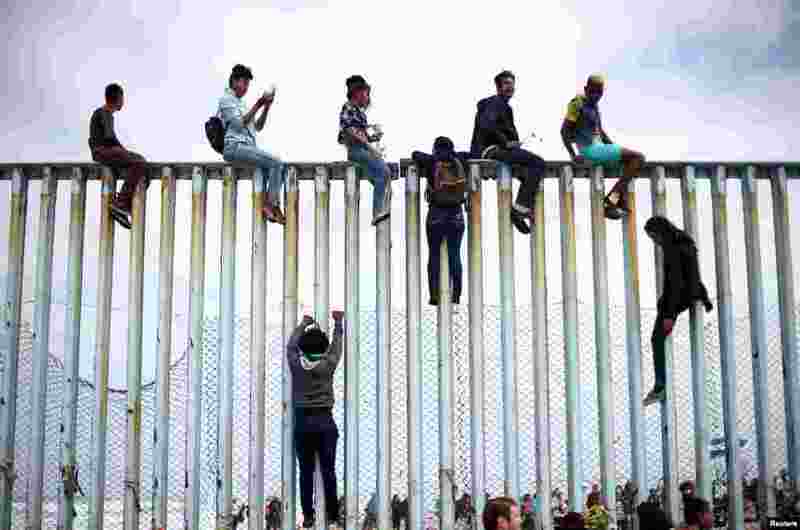 4 Members of a caravan of migrants from Central America climb up the border fence between Mexico and the U.S., in Tijuana, Mexico, as a part of a demonstration prior to preparations for an asylum request in the U.S., April 29, 2018.